Offshore fishing is one of my favorite hobbies, so we have several that we use for different types of fish, locations, etc. But how do you keep them organized? 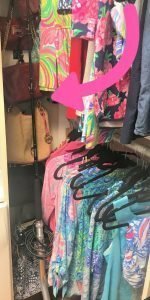 My husband got a new one recently that he decided would be safest in my closet next to the Lilly Pulitzers…. yeah that didn’t last long. 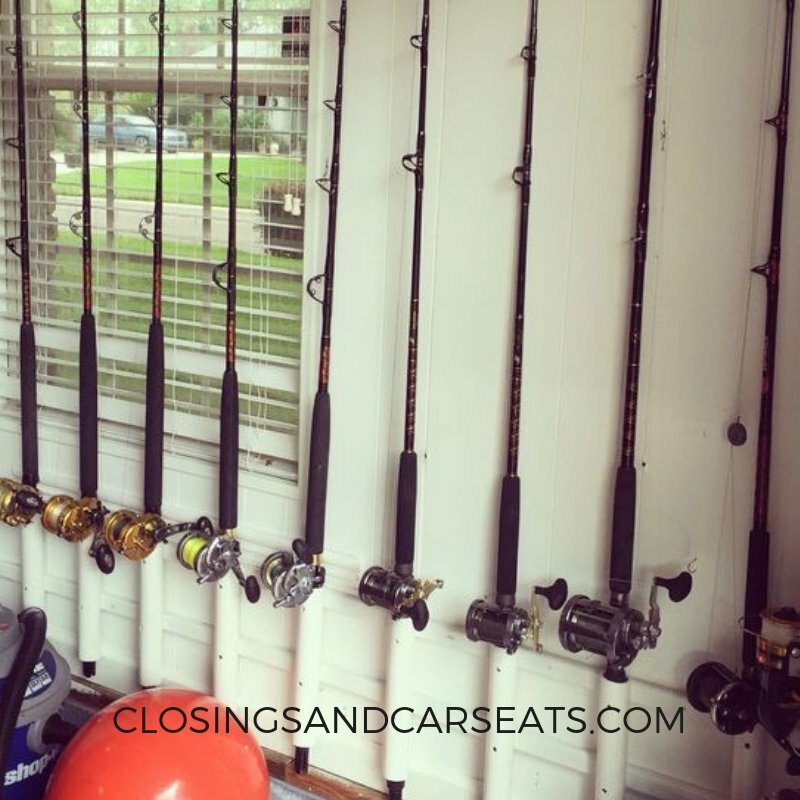 You can try an overhead rack like this one if your garage is tall enough: Organized Fishing Solid Pine Horizontal Ceiling Rack for Fishing Rod Storage, Holds up to 9 Fishing Rods, CPR-009 , but sometimes those can interfere with garage door operation. The links in this post contain affiliate links and I will receive a small commission if you make a purchase after clicking on my link at no additional cost to you. You can also get a stand alone one like this , but they can be bulky and take up prime real estate in your garage. 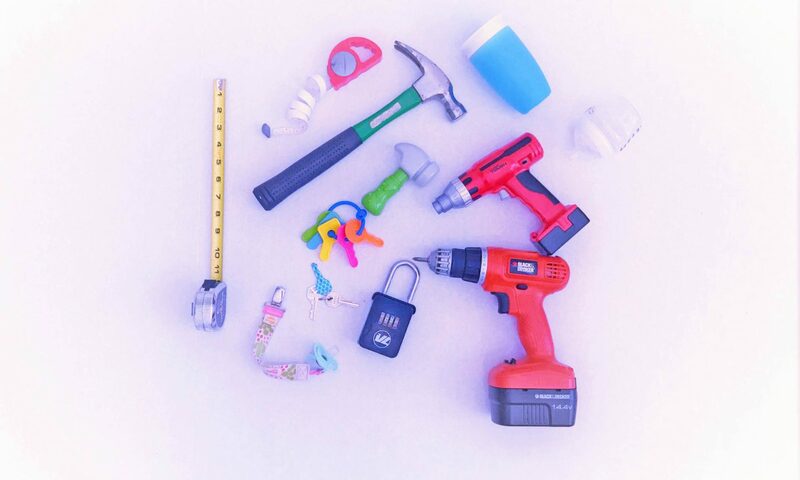 My FAVORITE solution by far is an easy DIY project that only has 3 basic steps. It looks great, keeps the lines from getting tangled, and keeps everything organized and out of your way until its time to get on the water. Determine the length that the wood backing needs to be to hang on the desired wall and saw. I did two separate pieces 8″ apart to keep things extra sturdy. 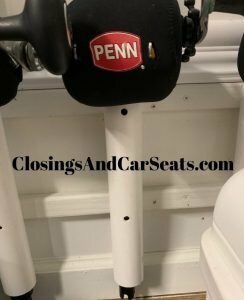 Cut your PVC to size for your poles. The ones photographed are all 1 foot in length and seem to be just the right length to keep the rods secure. Screw the PVC to the wood backing. I just went straight through the outside of the pipe directly in to the wood. It leaves an extra hole on the outside of the pipe but no biggie. The spacing of the pipes will be determined by personal preference and the size of the reels. I painted it white to keep it clean looking but you can customize and add your own flair if desired. 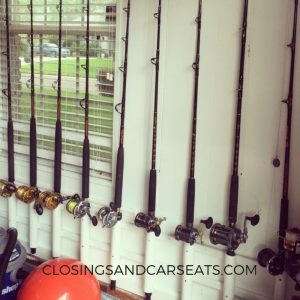 How do you organize your rods? Previous PostPrevious Ditch the Dining Room and Opt for Office?